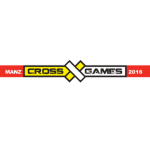 Manz Cross Games is a competition based upon the Cross Training methodology – basically performing a sequence of movements or an exercise routine and varied functional movements at a high intensity level. The tests to be carried out consist of timed challenges (maximum number of repetitions/ tons within a given time) or challenges by task (number of repetitions / maximum number of tons in record time), with features and movements from Weightlifting, Gymnastics and Cardiorespiratory Training – or a combination of these three methodologies..
You can participate in Manz Cross Games either individually, in mixed teams (2 male + 2 female members) or in the scaled category. Each athlete, however, can only be registered in one of the categories. The Grand Final will take place on November 19th and 20th in the country’s largest venue, MEO ARENA.